In the video game Dark Souls 3, the final boss is the deadly Souls of Cinder. The massive boss is seen as an manifestation of the various Lords of Cinder, sworn to defend the First Flame. In the game, he uses the combined abilities, weapons, and magic of the Lords of Cinder, making him very hard to defend against. The charred knight wields the Firelink Greatsword, a larger version of the Coiled Sword. The Souls of Cinder is imposing and memorable. 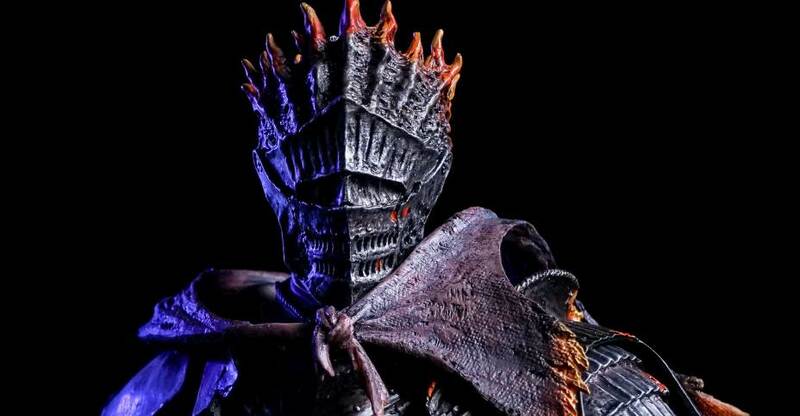 Gecco has released a massive 1/6 scale statue of the Souls of Cinder. They worked closely with FromSoftware to ensure the details were completely accurate to the in-game model. The statue stands over 17″ tall and includes the Firelink Greatsword, as well as two swords and a tattered banner that attach to the display base. Also included is a 1/1 scale Ember that includes it own magnetic base. 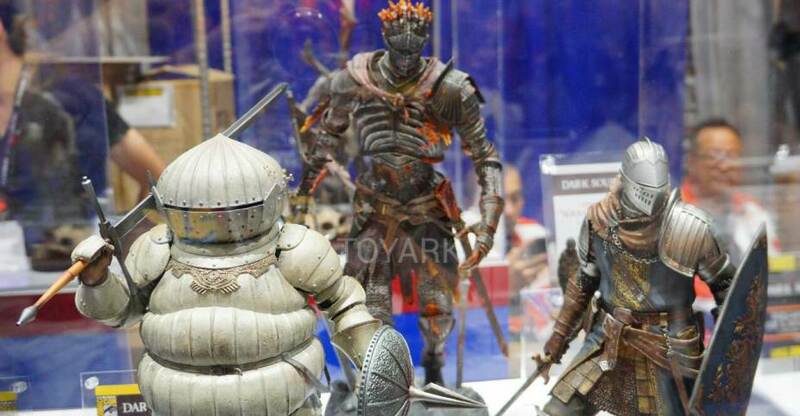 At SDCC 2017, they will offer their exclusive Siegmeyer of Catarina Statue from Dark Souls. They have provided us with a the statue and we have 40 photos and a full review. Read on to check them out. *Also included as a bonus with the pre-order is the 1/1 scale “Ember” which can be displayed alone on the magnet base. 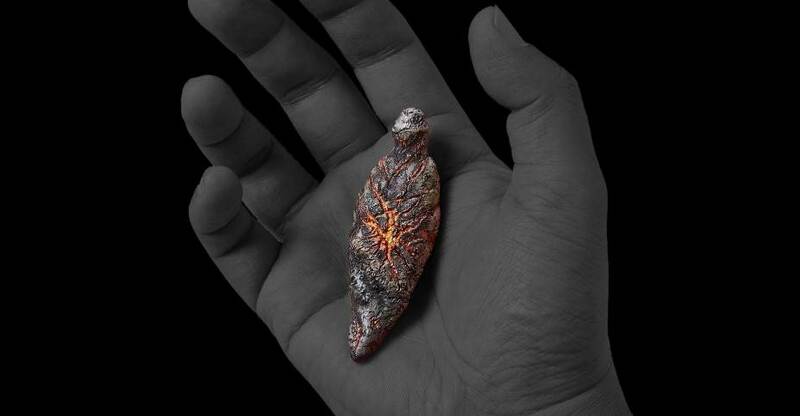 The pre-order bonus item has been revealed by Gecco for their upcoming Dark Souls 3 Souls of Cinder 1/6 Scale Statue. Fans who pre-order the statue will get a 1/1 Scale Ember Replica. Announced when the statue was revealed, we now have our fist look at the Ember replica. It can be displayed with the statue or alone with the included magnetic base. Pre-orders for the statue are scheduled to close at the end of the month. See the 1/1 Scale Ember after the jump. 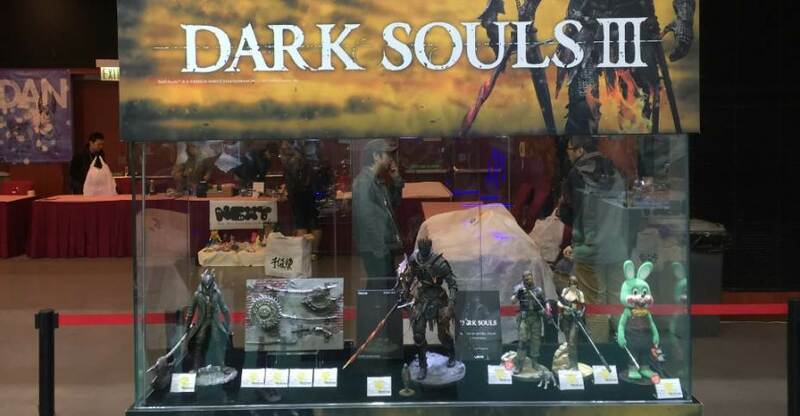 The Gecco display at Toy Soul 2016 included the next Dark Souls 3 Statue. 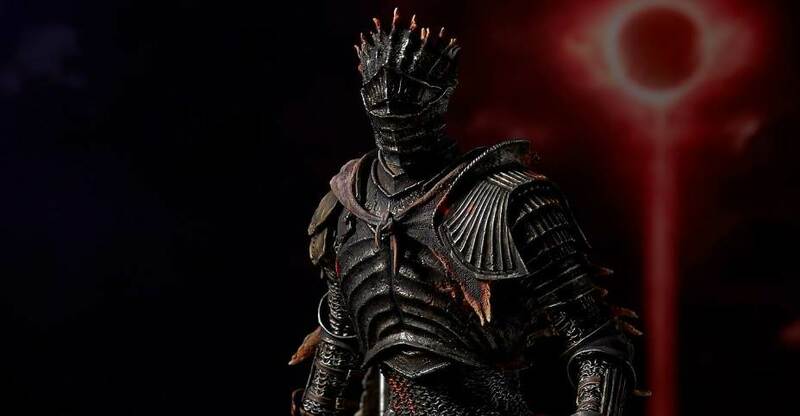 The display gives us our first look at the Souls of Cinder 1/6 Scale Statue. Another Dark Souls statue was announced. Gecco will be producing a Knights of Astoria, Oscar 1/6 Scale Statue as well. Only an announcement card was on display for that statue. Everything else in the display was previously seen. 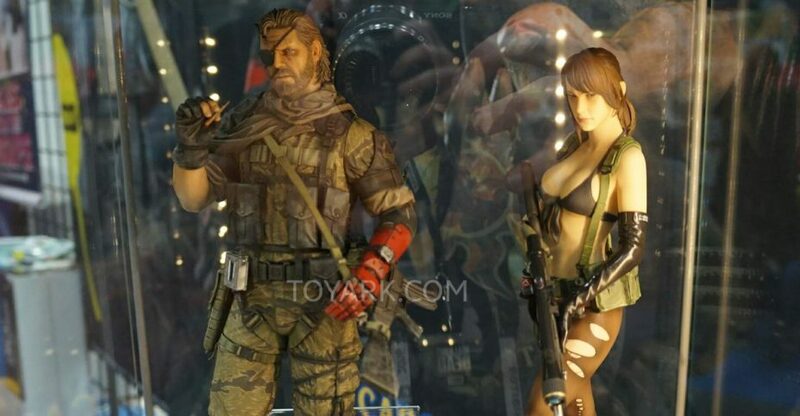 We’ll have updates on these statues when new images and details are released. Read on to see the photos. 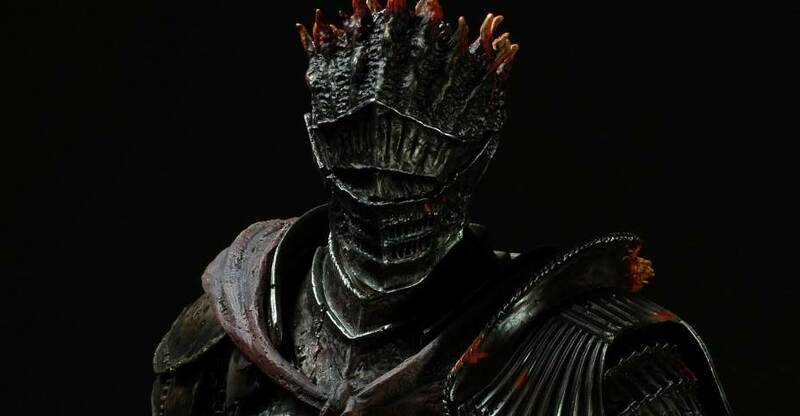 Gecco has posted a preview photo for their upcoming Dark Souls 3 – Souls of Cinder 1/6 Scale Statue. the mage shows off the unpainted prototype that we saw back at San Diego Comic-Con 2016. They have announced that the fully painted prototype will be on display this week at New York Comic-Con 2016. Check back for more updates soon. You can see the preview by clicking the banner image above.